At 2:30am. 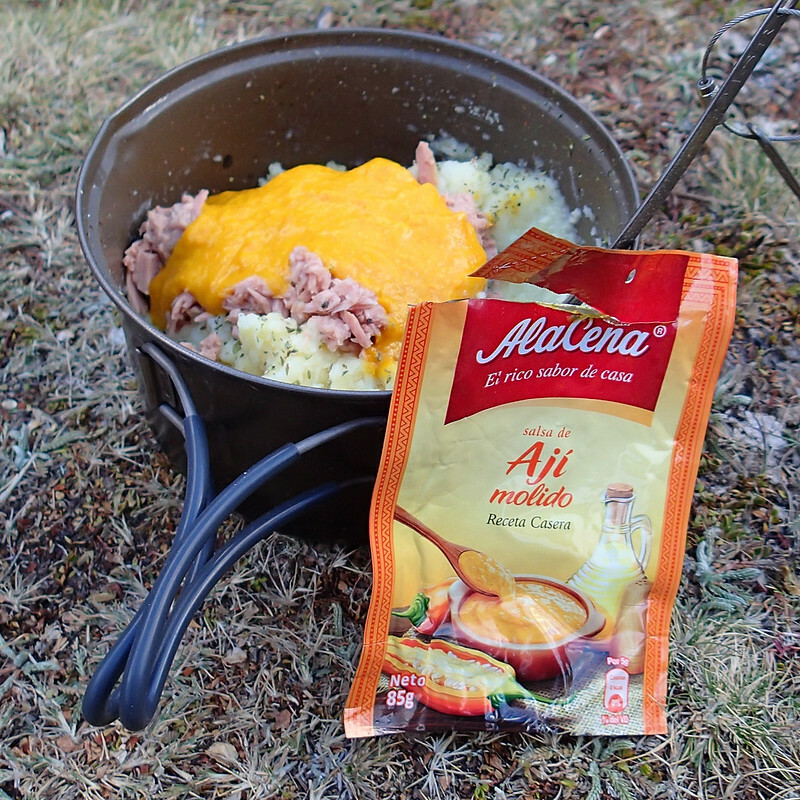 On Alpamayo. At the lonely and marginal belay with our last and only snow stake, to which I had just climbed down 60 metres with no gear in between after an attempted lead. How could we get down then? …climbing down? That is the only way, unfortunately… There is absolutely no gear. We can’t proceed, can we? 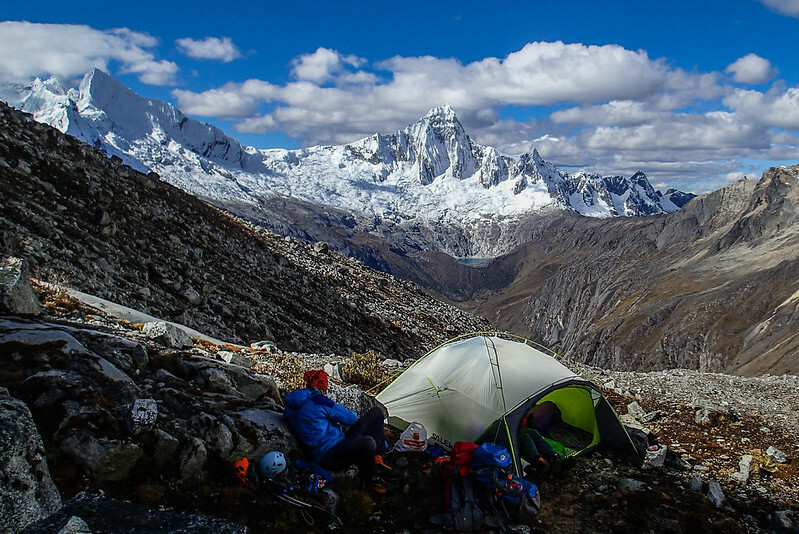 Cordillera Blanca is an area in the Andes in Peru, and the most popular and arguably the best part of the Andes for climbers and trekkers. My old friends Rob and Charly from England spent weeks there 3 or so years ago, and were very impressed, saying the most stable weather I have experienced ever . Together we planned a 4-week climbing trip there, joined by my friend from the US, Bill, and his friend Jyoti from Canada. I am from Scotland (originally from Japan), and so it is such an international team! 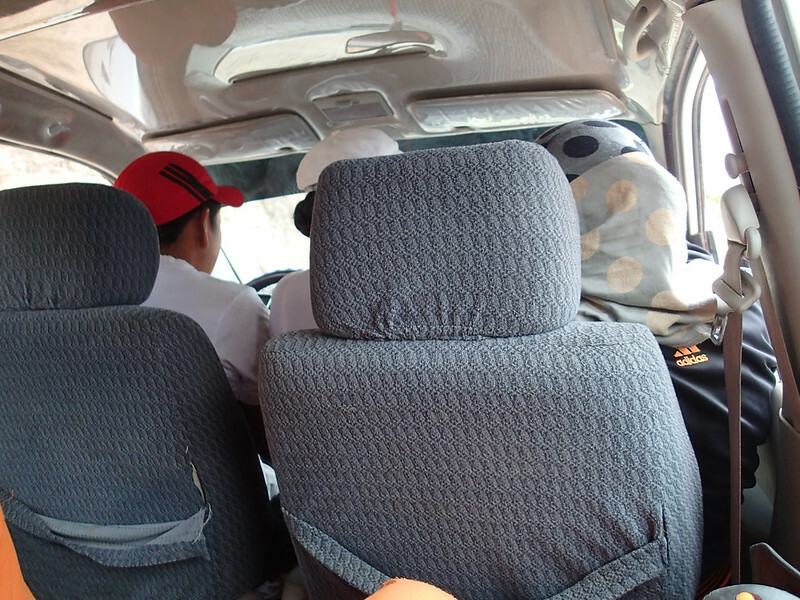 We all joined at Lima airport, and straightaway took an overnight coach to the base town (city) of the area, Huaráz (or Huarás or Huaraz). 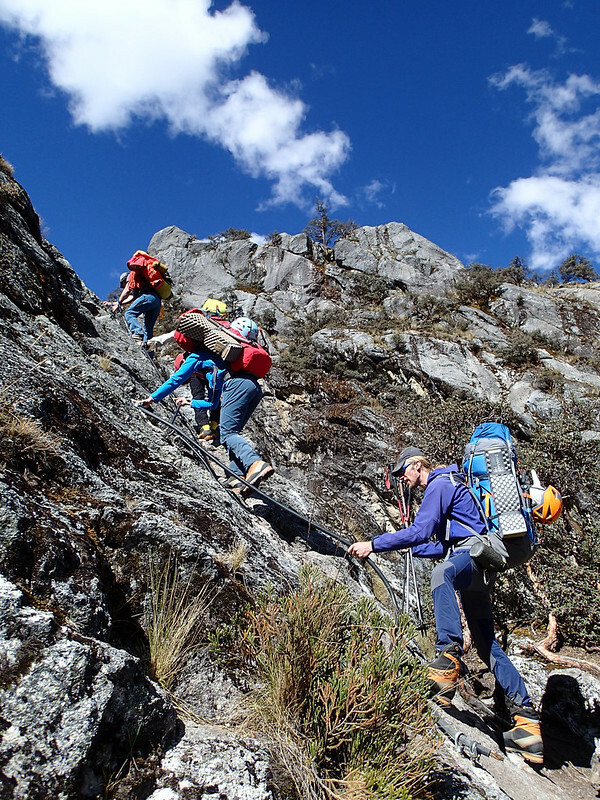 Our aim is purely mountaineering, likely via some technical routes, up to over 6000-metre peaks. Personally I have reached the altitude of over 5000 metres only once in my life, Kilimanjaro (5895m). Kilimanjaro is a mere trekking peak, massively aided by guides and porters (as legal requirement), and when I did it, I got sick, primarily due to lack of sufficient acclimatisation. In that sense it hardly counts. Other than that, my experience is mostly limited below 4500 metres, and mostly in the Alps. The altitude over 5000 metres, let alone 6000 metres, is the unknown territory for me. How will my body react? It is a well-known fact the way altitude affects a person is irrelevant to how fit s/he is. Some people are naturally (genetically) adapted to high altitude, whereas others are almost allergic to it. Famously, the Olympic gold medallist Victoria Pendleton, who is without doubt almost as fit as a human can be, had to abandon her attempt to climb Mt Everest at an altitude of mere 6400 metres with deteriorating health due to altitude (Guardian report). Or, a friend of mine, who is pretty fit, has almost lost his life due to acute mountain sickness when he climbed Mont Blanc, despite the fact he had had 2 acclimatisation climbs immediately prior to his climb, which would be sufficient for most people, given that many people successfully summit Mont Blanc with no prior acclimatisation (though it is highly inadvisable). Nevertheless, fitness is paramount in high-altitude climbing. Fitter you are, better you preform in thin air or a given amount of oxygen in the air, as long as your body is acclimatised in low-oxygen environment. Even in technical routes at altitude, over 95 or perhaps 99 per cent of effort of a climber is walking, where fitness counts most. And walking should not be underestimated because (A) a slip might lead to a fatal consequence on icy or rocky or simply steep slope, that is, almost everywhere, and (B) speed is safety in mountains, especially in hostile high mountains. Being unfit marginalises safety, as well as a fun factor. When I climbed in Scotland with Rob back in winter, Rob was appalled with my poor fitness, as I was far too busy at work at that time, doing almost zero exercise. I started on the 1st of April, as soon as my workload was eased, my programme of regaining fitness for the next 3 months, mainly via trail running. Thankfully, my fitness level was improved to my personal best level in recent years by mid-June, though my climbing record during that period was close to the poorest in recent years. The Andean expedition was my main objective this year, and then a slump in climbing was a price in an available time frame I must accept. Here am I now, at my objective at last. When I realised this plan after arriving in Peru, I turned pale. In the Alps, being a sea-level dweller during normal times, I usually try to climb routes for a day or two at around 3000m first, then preferably 2 days at 3800m or so, as well as a rest day, before heading to over 4000m, to complete my acclimatisation. That is aligned with a rule of thumb in climbing at altitude over 3000m: gaining altitude of 300 metres (1000ft) per day and plus a rest day every 1000 metres (3000ft). Admittedly, all I do in the Alps is technical climbing, and so gradual and thorough acclimatisation is vital in order to perform at high level, which might not be essential in our acclimatisation peak. Still, the schedule seemed like a rush. The basecamp is already at 4400m, which is basically inescapable even if things go wrong, and so is worrying. And we would gain further 1000m two days later, if momentarily. And to further 600m higher point three days later, or 3000m higher in 6 days from our arrival at 3000m. I have decided to take Diamox as precaution from 10th July, as Rob and Charly did. I tried to hydrate myself as much as possible, not minding getting up 5 times during night for a wee. Also, I took no complete rest day, but made some acclimatisation effort on all the scheduled rest days with my teammate(s); walking up to 3600m on the 10th, up to 4700m on the 12th, and 4650m on the 14th. Fortunately everything worked out well in the end! Basically none of us suffered from altitude sickness, except for occasional lightest symptoms like light headache. 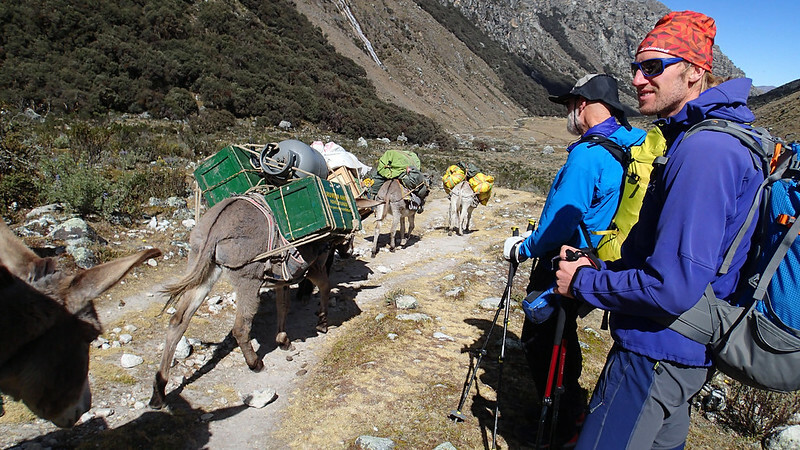 The approach of 15km and 900m elevation gain to the basecamp was event-less, helped by 5 donkeys, which carried most of our kits. There is a manned hut in the basecamp (where you can even take a shower with a fee), and about 50 tents were pitched during our stay. Our first and acclimatisation peak is Urus Este (5420m). Though it is not quite the highest point among the three Urus peaks, it is apparently by far the most popular peak, being closest and easiest to get to from the basecamp (indeed there were at least other 20 climbers in the mountain on the day when we climbed it). We chose the easiest and popular Normal Route (Southeast Slopes to East Ridge) at PD-. Setting off the basecamp at 4am, everything went smoothly. We stood at the summit 5.5 hours later, enjoying the 360-degree view. Good start of our expedition! 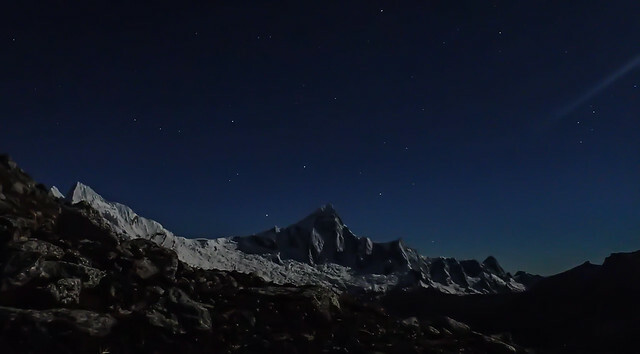 Tocllaraju (6032m) would be the main objective in this first leg of our expedition. The route is Normal Route (Northwest Ridge), graded as D. It would be 2-day ascent from the basecamp, with camping at a high camp at 5000m. We were well aware our schedule would be tight in terms of acclimatisation. If one of us, hence a team, had to turn back, so be it. But let us give it a go and see. 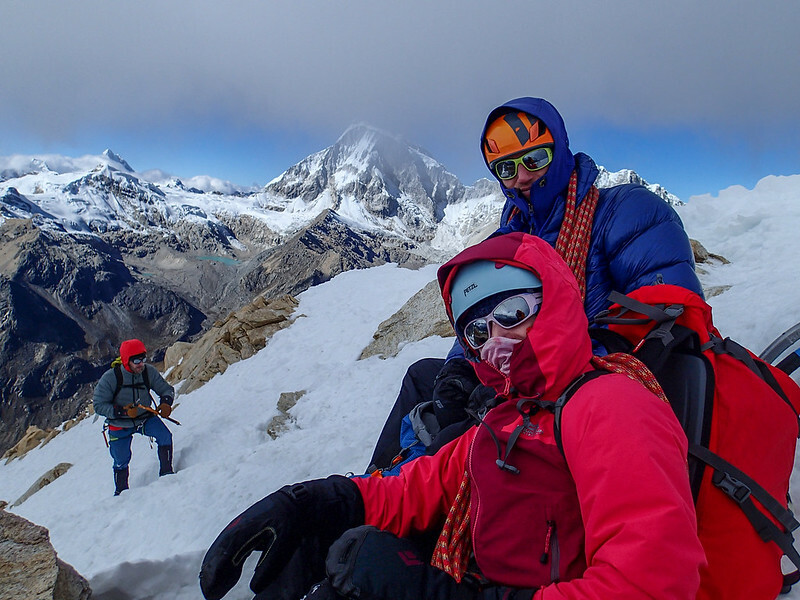 As days passed in the basecamp, we were concerned Tocllaraju summit remained always in cloud. In contrast, another mountain Ranrapalca (6162m) stayed almost always cloud free, presumably due to local climate, and hence looked more inviting. Climbing our first 6000m peak in poor weather with barely enough acclimatisation record would be out of question. The trouble is, though, climbing Ranrapalca is a bigger undertake with a longer route and approach, as well as higher summit. Fortunately, the weather god turned out to be in our side. The day after our ascent of Urus Este was a clear day, when we saw the Tocllaraju summit for the first time. The forecast (as we found in the hut) was also good. The game is on. Still, another concern remained. Would the route be climbable (for us anyway)? Having been in cloud must mean there was some snowfall. Too much (fresh) snow is unwelcome. We asked around almost every climber we bumped into in the hut, campsite, and during our approach to the high camp, for the information about the latest conditions. During our walk-in to the high camp, the prospect seemed rather daunting, as every descending team we met had failed to summit, some saying having turned back mere 60m below the summit. There might be some observation bias, that is, the team that has successfully summited might not be descending so early in the day. However, the time difference between the teams that successfully summited and turned back 60m below would be negligible. Perhaps genuinely no teams succeeded on the day. We had no idea what to expect high up in the mountain. But the game was already on. We shall just go and see. In the high camp, by the time we arrived 8 tents had been already pitched and another teams were arriving just behind us. We are not a sole ignorant fool attempting to climb an impossible, that is for sure. 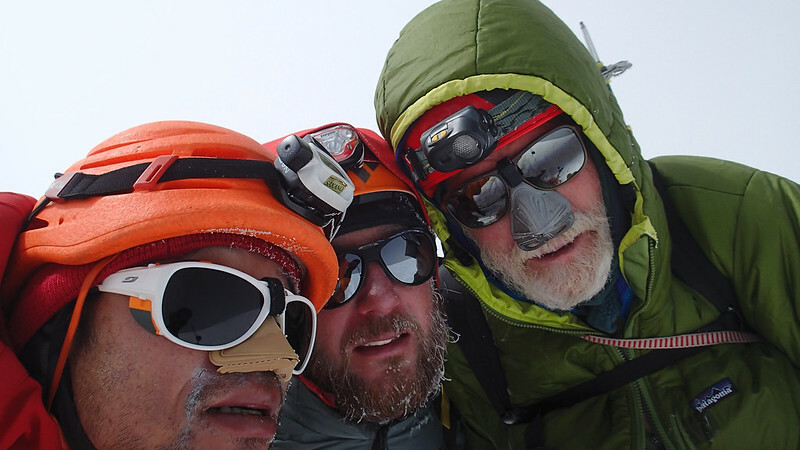 We left our high camp at 2am the following morning; Rob and Charly in one rope, and Jyoti, Bill and myself in another. After an eternal slog (with 1 semi-pitch at a bergschrund), we arrived at the foot of the last wall barring the summit ridge. That is the definite crux, and it turned out to be 2 pitches of Scottish grade IV (or WI 3), with the second pitch being harder. Scottish grade IV at 6000m was pretty hard! Luckily, there was just enough ice for gear. We summited at 11am (0.5-1 hr after Rob and Charly), and felt elated! 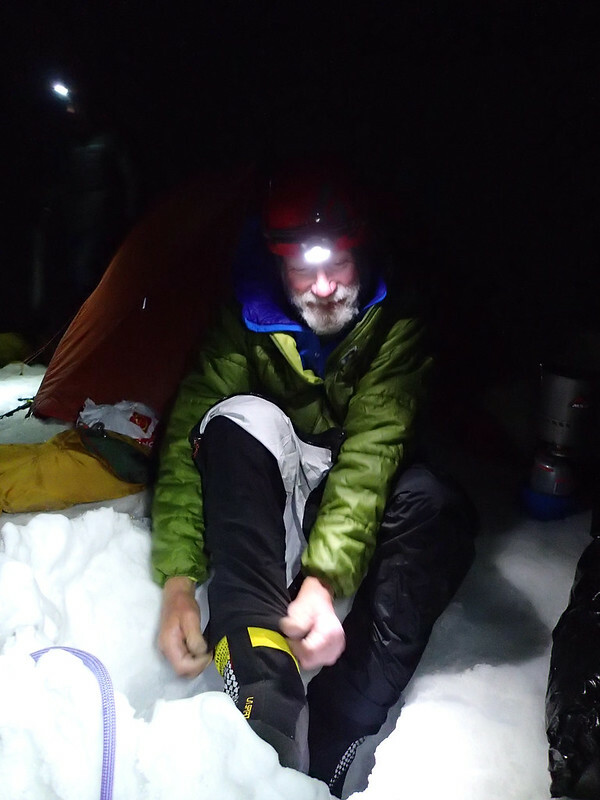 It was the first ever 6000m peak for us all but Bill, and via a technical route. It was 17-hours day, by the time we descended to the basecamp after packing our high-camp, and was very tiring, but was well worth it. 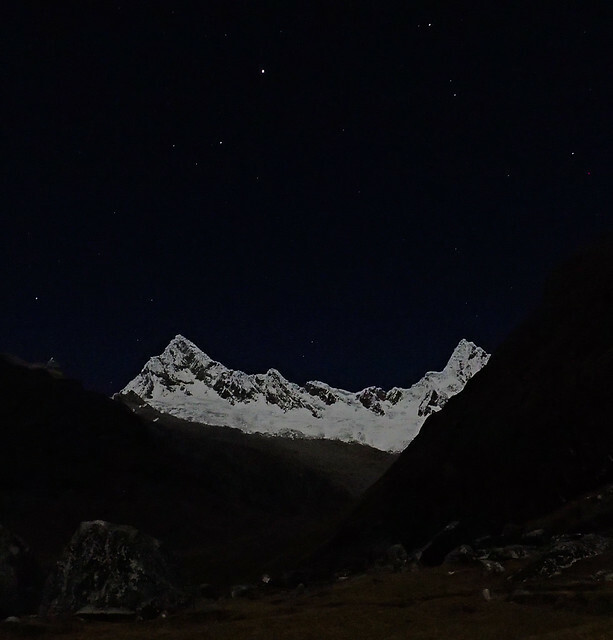 A major mountain we eyed up for in Cordillera Blanca was Alpamayo and mountains around it. However, this year has been exceptionally snowy and Alpamayo has claimed 3 climbers’ lives earlier in the season (30th June) (News report). 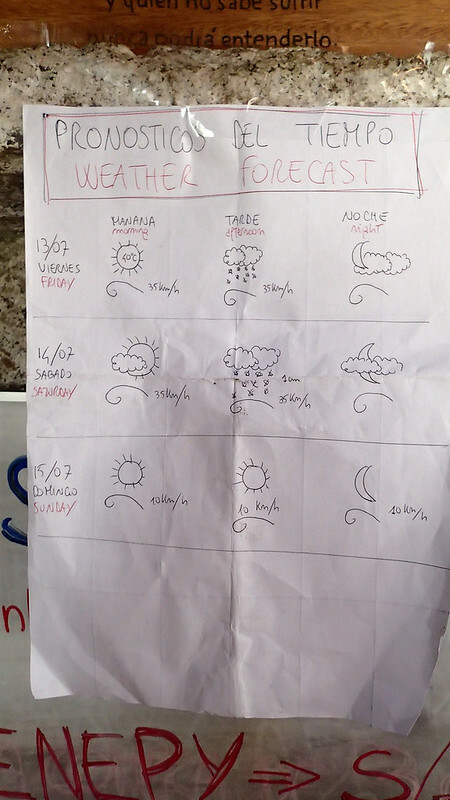 After our Ishinca Valley trip, the weather and forecast were unsettled. We decided to make a quick (3 days) hit to a closer and lower mountain, Churup (5493m), via a technical mixed route, Churup Oeste Southwest Face (D+). As far as viewed from Huaráz, the mountain appeared to be always cloud-free, even when other mountains were in cloud. Laguna Churup seemed to be a popular hiker’s destination (one day hike). Passing many hikers and then Laguna, carrying our camping and climbing equipment on our own steam, we camped at the far edge of the upper Lake (Laguna Churupita), with no other soul around. Unfortunately, our climbing attempt the following day didn’t go well at all. Charly decided to turn back, feeling unwell, early in the approach. Shortly after her retreating, the rest of us got completely off-route in the approach, failing to identify where to head to under thick cloud and in darkness. We lost nearly 1 hour in vain. We should have been on the route proper by that time according to the plan, but we knew we were nowhere close to it. The temperature was felt too high, which made us suspicious about the route conditions. We unanimously decided to turn back. We slept a few hours back in our tents and descended, a day earlier than our original schedule. After our disappointed Churup attempt, the forecast finally improved. 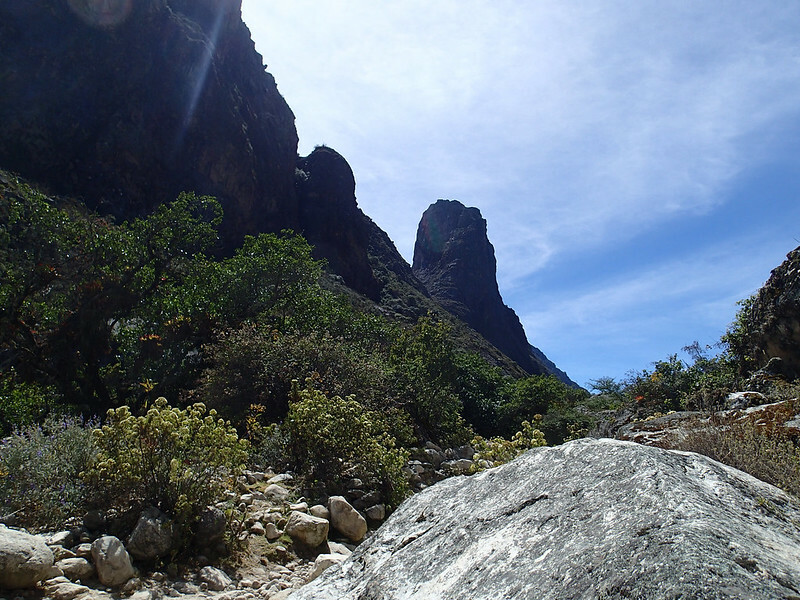 We counted our days before our return flight, and decided to make our last and potentially long trip to Quebrada Santa Cruz (Santa Cruz Valley), up to 9 days. 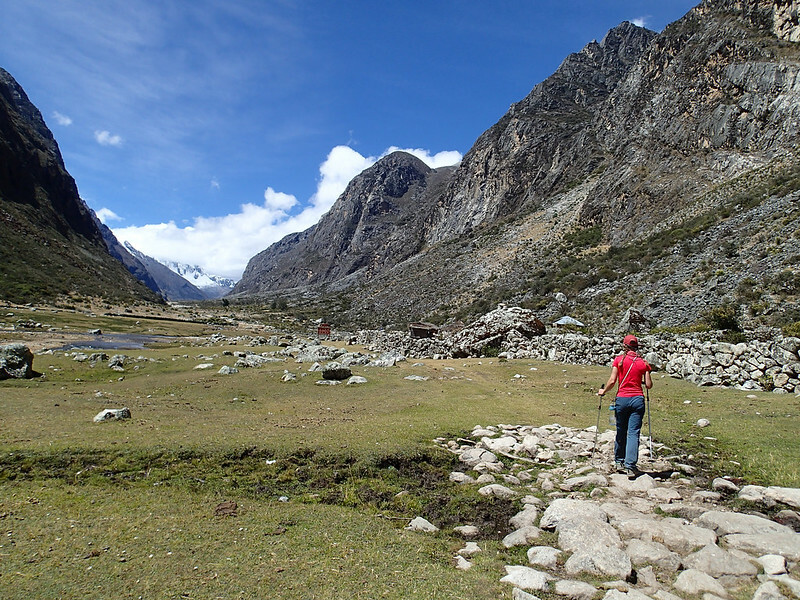 Bill and Jyoti were super-keen to climb Alpamayo. Rob, Charly, and myself were not so sure, and decided instead to go and try Artesonraju as the primary objective in the same valley. That follows our basecamps are 1 hour apart. We coordinated to organise (hours long) car and then donkey transport to go, though we must arrange our return journey separately, because we were not sure how many days each team of us was going to stay in the valley. The fact we did not have a communication medium among us, apart from the most primitive way, that is, to walk and see them in person, vaguely hoping the other team happens to be in the respective basecamp, means each team would be on its own. Typical Andean approach. First, it is a simple valley and meadow. Eventually, snow-capped mountains, one(s) of which is your objective, appear in the sight. You walk towards them, and they are slowly getting closer. For us three, it would not take 9 days to climb a single mountain, Artesonraju, which is 2-days ascent from the basecamp. We were thinking to climb hopefully one more mountain, perhaps Quitaraju (6040m), which is the mountain next to Alpamayo, after Artesonraju, although we were well aware to cram 2 big mountains in 9 days is a bit of push. In the following morning of the approach day to the base camp (3 hours drive, followed by donkey-helped 25km approach with 1200m elevation gain to 4100m), itching to climb, we talked about going to the high-camp for Artesonraju on the day (note no donkeys are available beyond the basecamp), but quickly abandoned the idea, and made it a rest day. Our body needed recovery after the long approach the day before. I am sure we could have made to the high-camp on the day, but then could we really perform on a technical route (D; North Ridge) at altitude (6025m) the day after? It is a matter of not only whether being able to or not but also safety. Having a rest day turned out to be the right decision. We felt much more refreshed the following day. The approach to the high-camp (5000m) was still a slog, though, and took nearly 5 hours. But we were rewarded to have the mountain and breathtaking scenery by ourselves. Unlike the previous mountain, Churup, where we lost in darkness, the moon was close to full moon now, and the weather was good. It looked promising. At high altitude, I found the hardest thing to be to sleep. I hardly slept or perhaps not at all on the night at high camp, before the alarm clock went off at midnight. It seemed Charly and Rob were not much different, either. Lack of sleep had an immediate effect on me. Just before setting foot on the glacier, an emergency urge took over me: diarrhoea. I almost gave up climbing, but carried on, thanks to encouragement by Rob. I appreciated it was after a rest day. How tired would we have been, had we hiked up the day before without a rest day? You can push so much at altitude after all, as it is a whole-body fight. The crux of the route is the final steep 250m snow/ice wall to reach the summit ridge, from where 200m ridge walk is all that remain. While I was leading P1 of the section, the day broke. I thought we had timed it perfectly. It took further 3 pitches before we realised we were too slow. The north-facing wall (equivalent to the south-face in the northern hemisphere) catches the sun, and the snow gets rapidly softened. The belay anchors are beginning to be unreliable. Worse, we will have to descend by abseiling this steep snowy wall after summiting, but how? Abseil off sun-lit softened snow would be terrifying at best, or is simply impossible. We may have to sit out for the rest of the day and part of night to wait for snow to refreeze. That is not an option. Rob, who had lead the last pitch to our highest point, suggested to get down by abseiling off the snowstake he had placed as the belay anchor off which he had belayed us, claiming it to be decent. “Look”, he gave a tug on the snowstake, and to his surprise the snow gave away instantaneously, the snowstake popping out. All of us turn pale, realising how serious the situation is. There is no ice within sight, but soft snow. Maybe over there (10m lower down the slope) I can find something. Rob went to search for better placement for snow stakes, but not much success. Eventually we found marginally firmer snow, and placed 2 stakes. We did not need a hammer, but just hand-pushed them into snow. I arranged the best dynamic-equalisation between them to get the best bet of survival, using a tat, which I had learnt but had never used before in reality. I gave a full-body bouncy test tug, and confirmed they held up with the force, though the stakes wobbled. Rob abseiled first. Charly and I followed, knowing we had a better chance, as our weights are much lower than Rob’s. Still, the snow getting a constant sunlight, it was a harrowing experience. The next abseil anchor was a pair of equalised Abalakov threaders made by Rob, backed up by 2 more ice-screws. Rob said there had been an in-situ one next to it, but when he gave a little pull, the thread so easily popped out. No wonder the anchors Rob built looked almost excessive. Ice is melting. We can waste no time. The rest of the descent was not as bad as that, if long, though another jolt of diarrhoea troubled me, as soon as we got off the glacier to the safe ground. 16 hours later after we left the high-camp to climb in the early morning, we were back at the basecamp, safe and sound, though exhausted. Having failed to summit Artesonraju (6025m), as well as Churup earlier, our frustration is mounting. Charly, feeling a cold and maybe a bit fed up, decided to leave the basecamp back to civilisation. Rob and I were still keen to give one more shot. In practice, there are two choices: Quitaraju (6040m) via North Face (D-) and Alpamayo (5947m) via French Direct (D-?). For either route, the approach is the same up to the col between them. We originally fancied Quitaraju, but after much though we changed our mind about our priority. 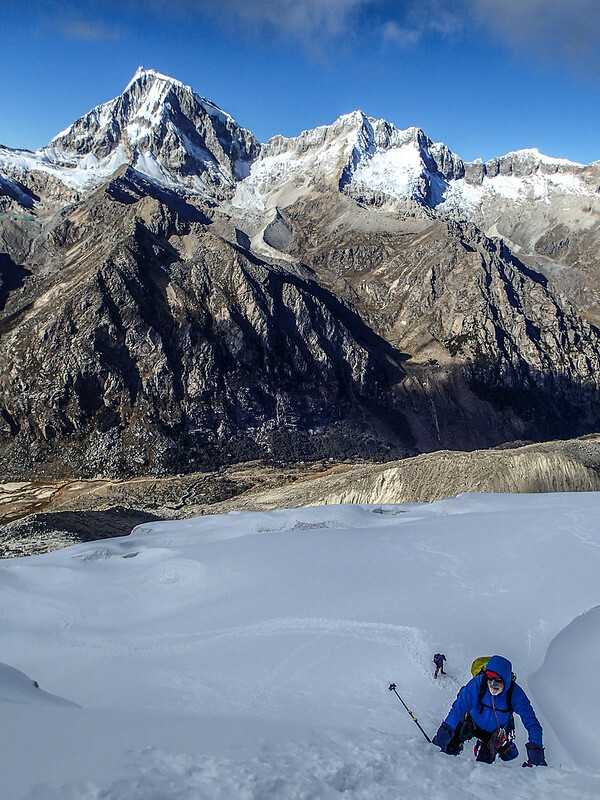 Quitaraju is more remote and higher, and in particular the descent would be very long, because the sole safe descent for us is to the far side, considering our limited arsenal of only 1 snowstake, after losing two in Artesonraju. 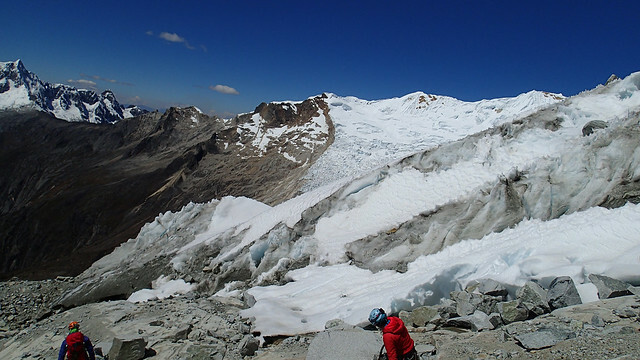 In contrast, Alpamayo is closer and also importantly the guidebook describes there would be many in-situ gear, which would be most helpful in abseil descent, as well as quicker ascent. Perhaps we can make a swift ascent? Ideally we would like to take 2 days rest after a big day (2 days in practice, counting no sleep in between) on Artesonraju. Counting the days left, however, we figured out we could or should take only one rest day. It is partly because of still uncertain arrangement for a return donkey transport. 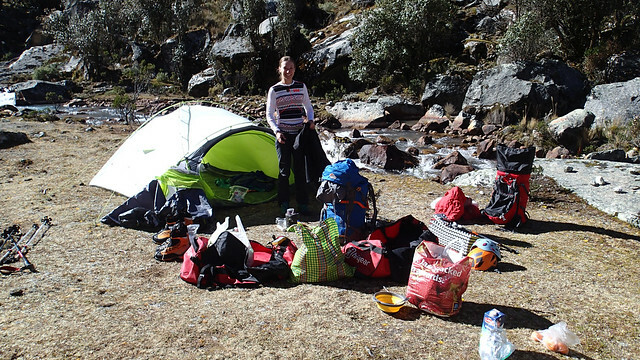 The Artesonraju basecamp, where we were camping, was fairly popular among trekkers, because it is on a popular 4-day trans-Andes trekking route. About 1 to 4 groups, many of which are large ones, were coming and going every day. However, very few of them were like us climbers, who just need one-way transport, and are willing to offer to carry extra bags. We still expected we would manage donkey-transport one way or another, but it would be safe to have plenty of time (2 days) in case our attempts do not go well. In Sunday morning, Charly left the basecamp. Even though she had a cold, she still had to walk for 25km by herself, before hours of yet unarranged transport back to Huaráz. At least, she did not carry much, expecting the donkeys would take them back when Rob and I leave. Charly promised to arrange 2 donkeys for us, once she is back to the nearest village. There was no way to know for us if she was successful, but hopefully the plan would work out well. In the unlikely case of the donkey man not turning up on the arranged date, Rob and I would just start making our own effort to sort it out. 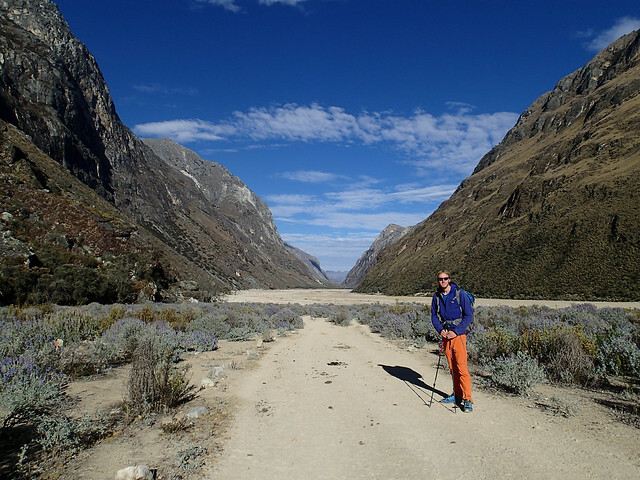 Shortly after seeing off Charly, we made our way to the Alpamayo lower high-camp, called Moraine Camp, passing Alpamayo basecamp on the way. 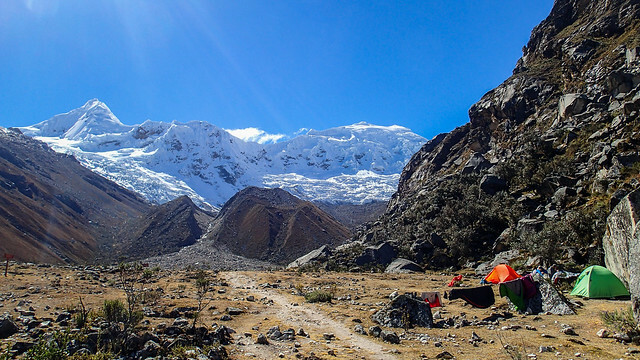 Alpamayo has two standard high camps, the lower Moraine Camp (5000m) and higher Col Camp (5500m) on snow. Most climbers take a base at Col Camp. 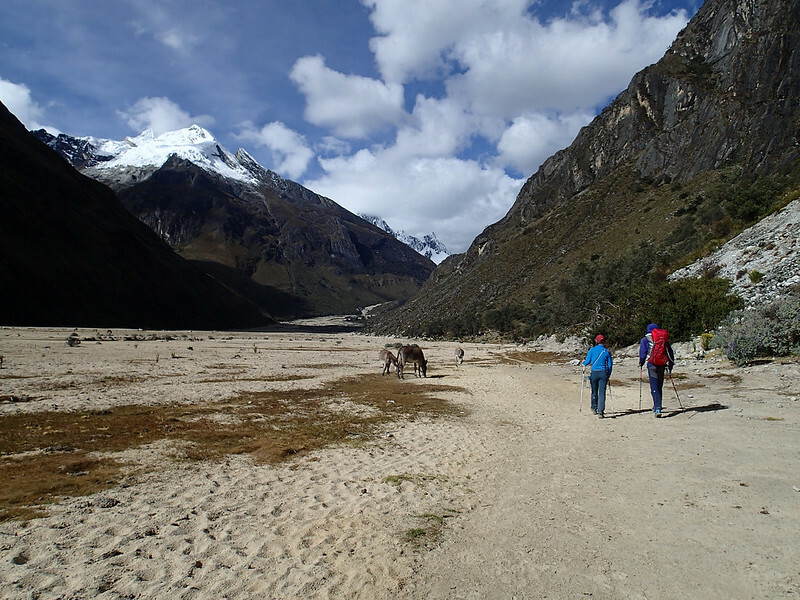 However, it is a long way from basecamp, especially from Artesonraju basecamp, which is 1.5 hour farther than the Alpamayo basecamp. Also, we did not have any snow pegs or shovel, as I had lent them to Jyoti and Bill. Col Camp has no running water source but snow, which means to get water would be much more troublesome, and is colder. 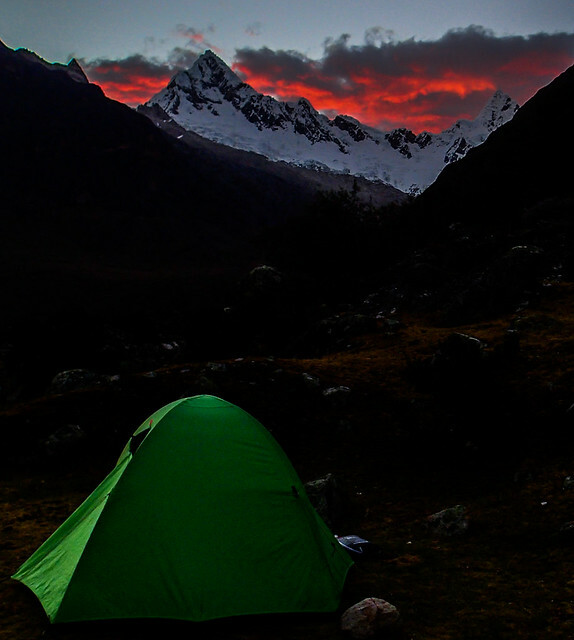 For those reasons, we decided to camp at Moraine Camp, and just to leave very early, that is, 10pm at night, to beat a potential cue of climbers who set off Col Camp in the morning to popular Alpamayo. If there is a long cue of head torches, we can still change our objective to Quitaraju at the col.
We found the Moraine Camp was great. We did not bring a flysheet (to save weight), and left the tent entrance open so we could enjoy the grand view while lying down inside. Only one more party was camping, 50m away from us. After 5-hours of lying down for attempted but no sleep, we got up at 9pm and set off at 10pm on time. My diarrhoea was, though better than the worst, not good, perhaps accelerated by accumulated fatigue I had and altitude. Then my performance would be less than ideal. Worse, the mal-functioning body requires more oxygen than otherwise, which is not available here. But what could I do, after taking a little pill? I must just get on with it. 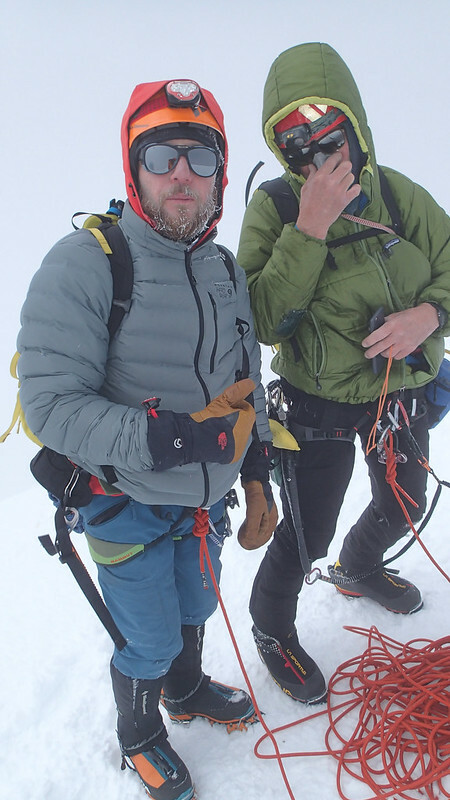 A good thing to climb with Rob alone is we could move considerably faster, partly because we were fittest in our group and partly because our skill levels were in good match. If one of us can lead by soloing, so can the other or with minimum protections. That is precisely what we did at a steep section on the glacier to the Col Camp, and we were hoping to be able to move together for a fair chunk even on the route proper. We made the col in 1:45 as opposed to the guidebook time of 2-3 hours. It was a good deal faster than our team’s past record, where we had taken 20 per cent or so longer than the guidebook’s upper range of time. I felt my training prior to this expedition paid off well. We arrived at Col Camp at midnight. There were 4 tents, but no one was up. We will be the first to head to Alpamayo today. The game is on. Unfortunately, things did not go well from here on… I took a lead (moving together) first, but spent ages to negotiate at the bergschrund, relying on a single psychological screw. After finally surpassing it, although there were some old footprints, I did not find any in-situ gear or ice, let alone rock, to my disappointment. I placed a snowstake, the last and only one we had, on snow 40m above the bergschrund, and carried on climbing, still finding no gear. When Rob, seconding, reached the lonely snowstake 60m below me, he shouted “Find the belay!” He is right, except none is available. Where is all those supposedly-abundant in-situ gear?! In the end, I climbed down 60m to the snowstake and Rob. We decided to bail. Allegedly it was an exceptionally snowy season in the area. The fatal accidents due to an avalanche in Alpamayo was a reflection of it. We did see debris of an avalanche(s) below the slope. We suspect all the in-situ gear that existed was either swept away or buried under snow due to avalanches. And the complete lack of in-situ gear means very few, if any, had attempted the route since, because parties that attempted the route should have left some sort of abseil anchors. We had worried there might be a big cue in the route, but our worry was completely off the mark! On our way down when we passed Col Camp, we spotted two climbers outside their tent, Jyoti and Bill! It was a pleasant surprise to see them. 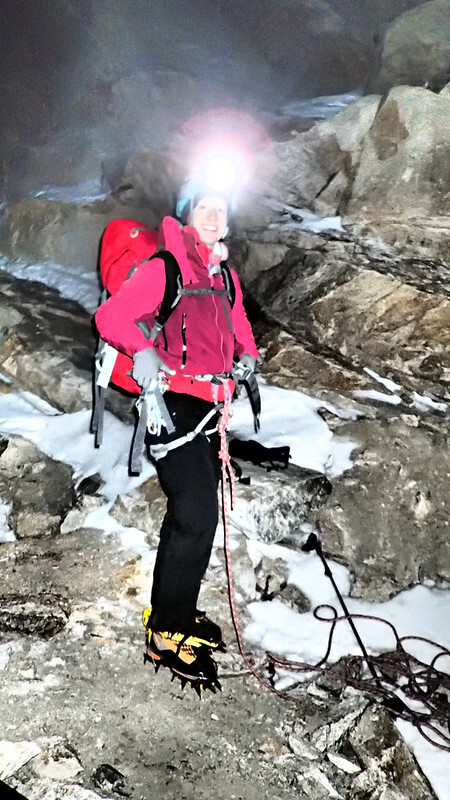 They saw our head torches and realised some super keen climbers had come up from Moraine Camp, though there was no way for them to know they were us. 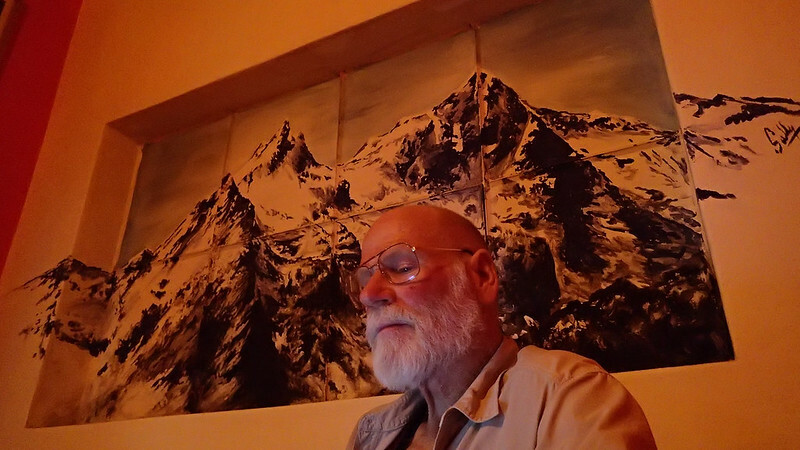 They had camped there for a few days and they were preparing for their second and final attempt to climb Alpamayo on the day, after retreating from the bergschrund in their earlier attempt. They confirmed the line we had taken was correct. 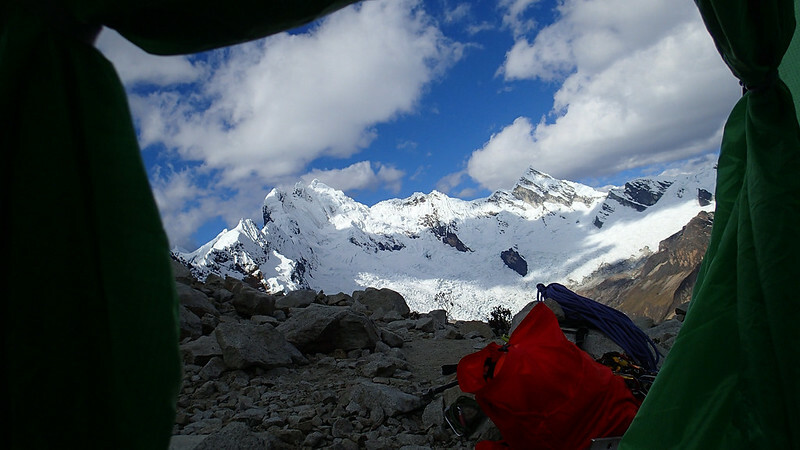 Two days later when they returned to Huaráz, we heard they had successfully summited Alpamayo! I was so glad to hear that, after their devotion of 9 days to climb the mountain. They must be one of a few teams that succeeded in this season. They were well prepared, armed with 5(!) snow stakes. Plus they had another which Rob and I left in our retreating. 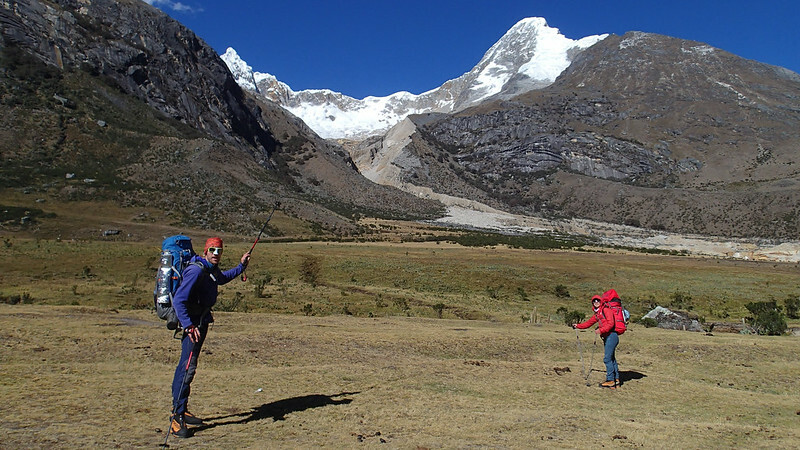 It seems most of people who climb Alpamayo (or any major peaks in the area) are lead by professional guides. I can imagine mountain guides would be reluctant to take clients to Alpamayo in the current conditions. Guides need plenty of good and preferably in-situ anchors to safeguard more or less incompetent clients. I guess the current conditions of Alpamayo probably demand too much for any guided groups. It was only experience and perseverance by Jyoti and Bill that lead them to glory. 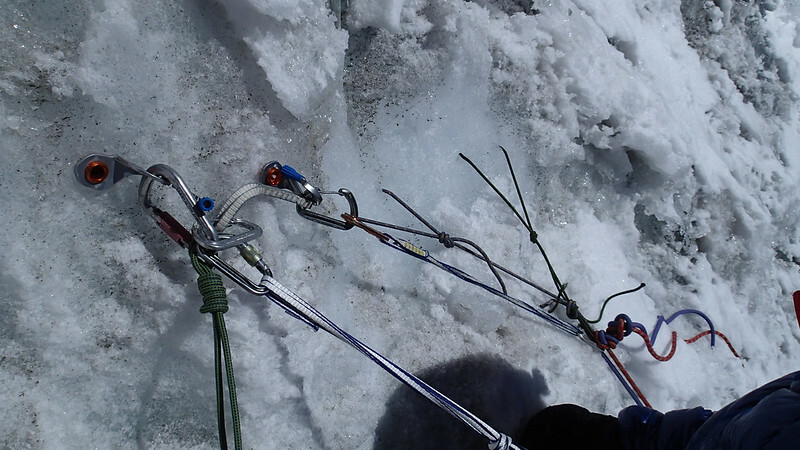 According to Jyoti and Bill, there was ice a pitch or 2 above my high point and higher up. The top anchor, multiple snow stakes just below the summit ridge, was still in-situ. The summit snow mushroom above it was too unstable to clamber. The decision by Rob and me of retreating, though heart-breaking, was right in that sense. With only one snow stake we had, we could not ascend to reach the upper ice section safely, let alone descend from it. Even if we had kept our 3 stakes we originally had had, they were barely adequate. We had not foreseen so many snow stakes would be required, in particular in the supposedly well-equipped route of Alpamayo. 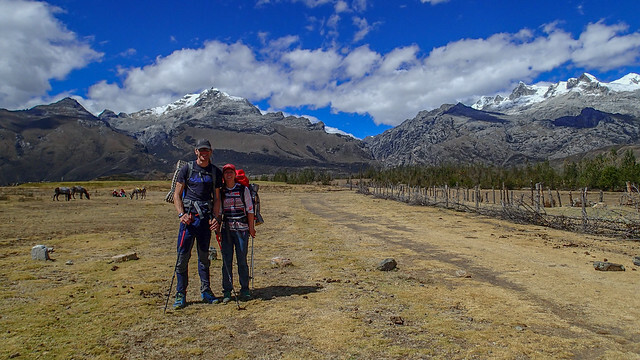 In terms of pure climbing/mountaineering, our Andean expedition started in the best way possible, with 2 summits up to over 6000m successfully bagged with no health trouble in our first week. Things looked well and even easy. Then the fate turned its face away from us. For Rob and myself, we tried 5 in the end in total, and succeeded in (the first) 2 only. Jyoti and Bill persevered and deservedly succeeded in another. Was the expedition worth it? Absolutely yes. Failure is a mere result and required price to pay for a joy, which does not come always. After all, if one is guaranteed to succeed, what is the point of the activity? In a challenging climb, we never know and keep having a doubt if we succeed or not until we try and see. Because we do not know the result, as exemplified in our cases, success when we accomplish is so much sweeter. Also, apart from safe return, which we achieved to our pleasure, what matters most is an experience. The experience I had was most valuable in many senses. I learnt so much, especially about climbing at altitude, of which my experience had been most limited. It was priceless (and was actually very cheap in terms of money). It was equally a great fun to climb with old and new friends across the globe. That is I think an essential part of the reason we climb for. Although Cordillera Blanca is arguably the most popular area in the Andes, I realised mountains are pretty remote and climbing is a hard work. 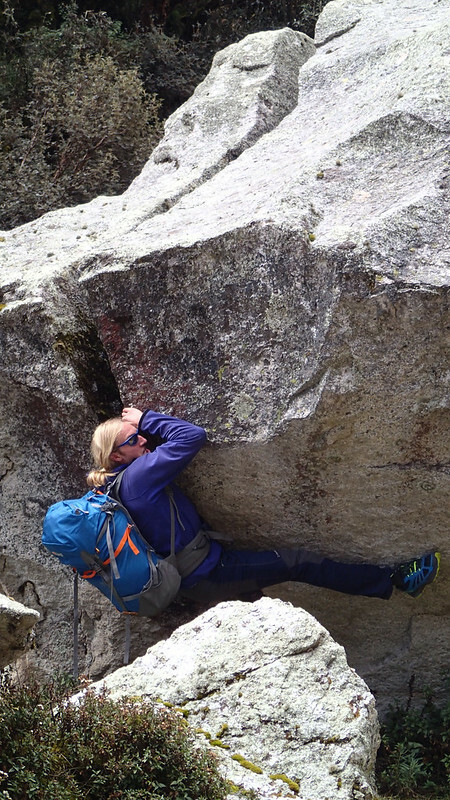 For a given grade, routes are not as technical as those in the Alps, but the required effort is perhaps similar and the degree of seriousness is higher. For example, rescue action in Alpamayo in this video “Rescate en el Alpamayo” demonstrates how human-power-intensive it is (in 2010, but I think it is the same in 2018). No helicopter is involved. There is no easy communication method except for sat-phones, and even if the communication is somehow established, any rescue people, except fellow climbers who happened to be nearby, would have to make their own way of 25km approach on foot to the basecamp, before climbing up higher, carrying required rescue gear. Also, even the fittest rescuer may not be able to make it, if they are not already acclimatised to the altitude. No wonder that the action in the video is in fact not a rescue but retrieving and transferring of a (dead) body of a victim. One thing that was obvious was a rapid retreat of glaciers. 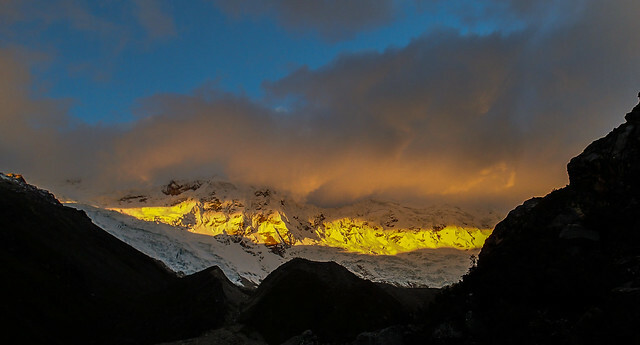 Allegedly, Peruvian Andes is, like Kilimanjaro and Mt. Kenya, being located close to the equator, affected most dramatically by global warming. Our main reference and photos are our English climbing guidebook published in 2011, only 7 years ago. It is apparent glaciers have retreated considerably since, perhaps by 100 or so metres. The description and photos in the guidebook did not match what we saw, especially at low altitude. It is good visualisation of the climate change, and heart-chilling. This was my first trip to Peru (and second to South America). It left me some strong impression. 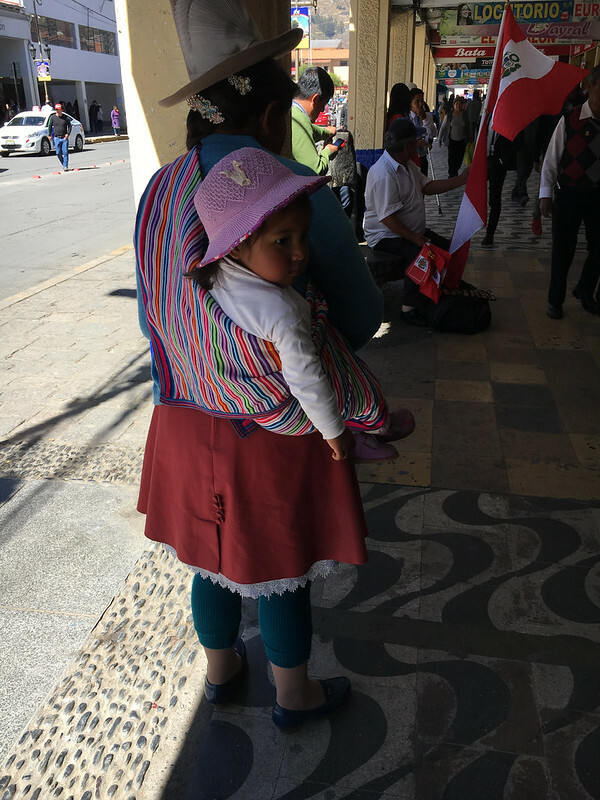 I liked the fact many local people even in Huaráz city were in their colourful traditional clothes with sombrero-type hats. That is in a stark contrast to ubiquitous western clothing. I wish their culture to live long and prosper. 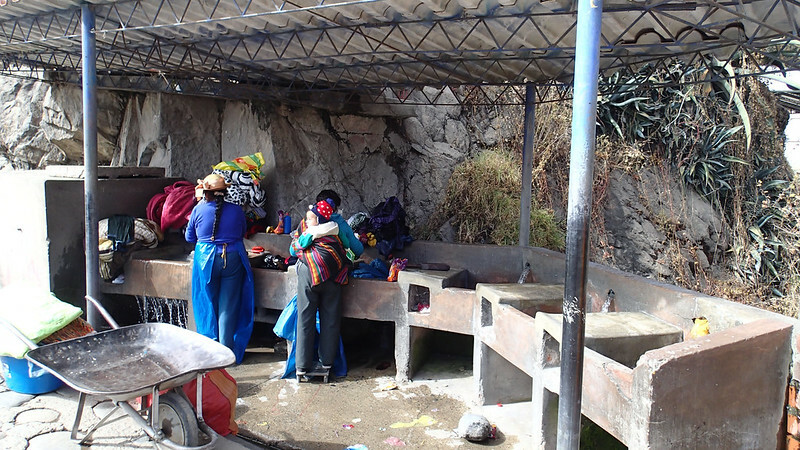 There is no slum in Huaráz, and the ratio of the poorest people seems limited. I felt Huaráz was a reasonably safe town (some districts in London and Paris must be much worse). However, it is apparent the living standards were not very high. I saw many local women wash clothes in public water points and in streams. They most likely do not have a good water supply or sewage at their home, or certainly washing machines. In fact, water supply stopped more than once even in a hostel where we stayed, located at the centre of Huaráz city. Water quality from tap is suspicious, and so it must be treated (by filter, chemical tablets, boiling etc) to drink. 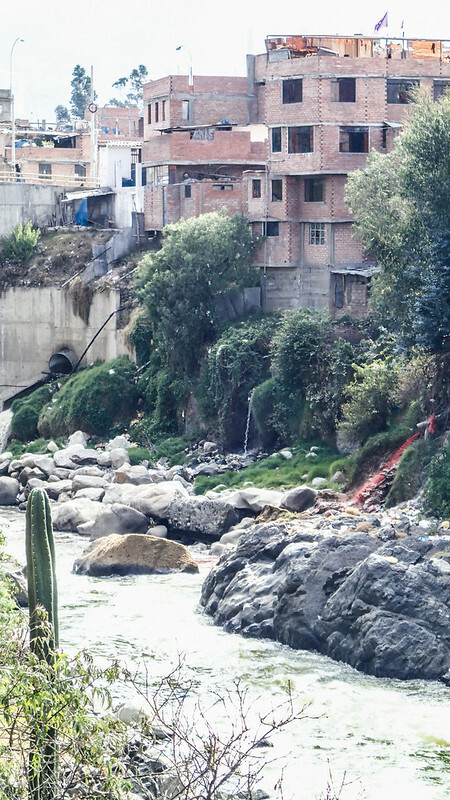 We saw red-tinted water gushing directly into a river, which is perhaps waste water from a slaughterhouse. It can not be good for the environment or hygene. Most roads, except those in the city and inter-city major roads, are not tarmacked. Due to dry weather, every passage of a vehicle leaves a cloud of dust, which would not be good for health or for vehicles or safety. 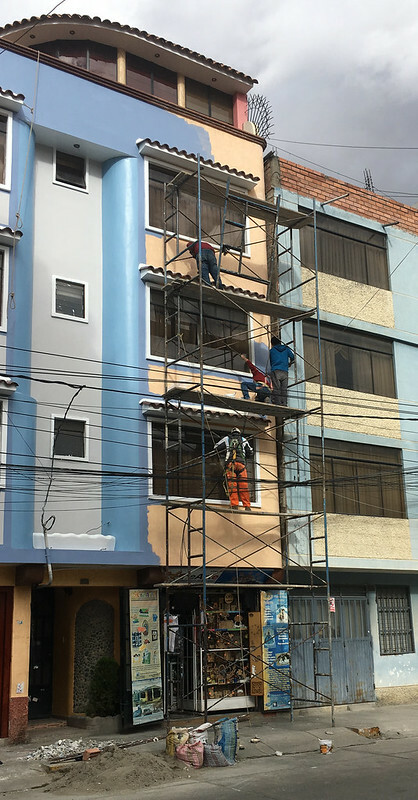 Health and safety regulations seemed non-existent, compared with the UK, judging how people ride motorised vehicles (forget about how many seats each has, let alone seat-belts) and how workers work (like working on a unsupported free-standing 4-storey-high scaffold). I have no doubt many unlucky people suffer from intrinsically preventable accidents. Prices are cheap. My gut feeling was the prices were about one-third of the UK (which is surprisingly consistent with the official data of purchasing-power-parity per capita). Although it was not a bad thing for a cheapskate climber, I could not help feeling it was unfair. Yet in some places, most notably in supermarkets (which locals do not seem to use), upmarket restaurants for tourists, and the airport, prices are close to the UK. I guess that means some people are making good profit out of it; in other words, the economy is skewed. Overall I imagine Peru (as far as the small region I observed) was a bit like 1950-1960s in developed countries, except one stark difference. Everyone was using a mobile phone, mostly smart phone. Adverts by mobile-phone networks were prevalent in towns, villages, and streets. If knowledge or information is power, Peruvian citizens have it now or at least have the medium to get it from. I hope that will do some good for Peruvian people to improve their living standards and correct social inequality.